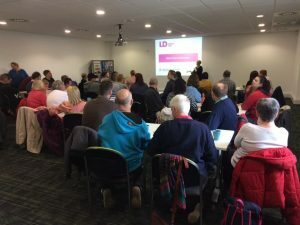 LD:NorthEast are proud to support people with learning disabilities in Newcastle and North Tyneside who are victims of hate crime, mate crime or exploitation. We are committed to supporting people to recognise and report crimes committed against them simply because of who they are. The Safer Tomorrows project helps people to feel safe and confident about being part of their community and feel comfortable about reporting incidents and crimes through the appropriate channels. We work closely with our local police and community engagement teams to help people to identify what a disability hate crime is and gain the confidence to report incidents and crimes. The reporting of incidents is very low across North Tyneside and Newcastle (which is also the case nationally) and we aim to ensure more crimes are identified and reported. 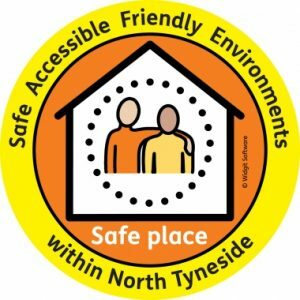 We are part of the Safe Places Scheme, which is a service to help vulnerable people with communication difficulties stay safe when they are out and about. An individual can visit a Safe Places building if they find themselves in a crisis situation, such as if they are lost, feel scared or upset and don’t know what to do, or if they have been a victim of crime. Our building is a registered Safe Place and we display the sticker in our window. We are also part of the Workplace Hate Crime Champions scheme, which aims to involve local organisations in raising awareness of hate crime, the support that is available to victims and ensure organisations have a dedicated internal contact should they wish to obtain advice and information on the subject.